Get the ultimate ‘Taste of Japan’ as you drink beer in Sapporo, spot snow monkeys in Nagano, explore the old town in Takayama, wander through Omicho Market in Kanazawa, visit the UNESCO World Heritage Site of Shirakawa-go and marvel at the bustling grandeur of Tokyo! 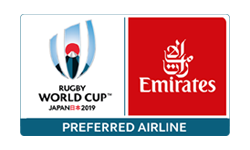 Our 11 day Taste of Japan Tour takes in Australia’s final two pool matches as well as England v Tonga combined with some fantastic touring to give you an ultimate taste of the history and cultures of Japan. The tour gets underway in the north of Japan in Sapporo where we take in the first two matches of the tour. We then set out for some fantastic sightseeing including a visit to the snow monkeys at Jigokudani Monkey Park, wander the old streets of Sanmachi Suji district in Takayama, visit the historic thatched roof houses of Shirakawa-go, keep our eyes peeled for an elusive geisha in Kanazawa’s Higashi Chaya district, then make our way to the neon lights of Japan’s capital, Tokyo where we will take in Australia’s crucial pool match against Wales.